cake·walk: An absurdly or surprisingly easy task. My issues with food boil down to this: my emotional and/or mindless reactions to people, places and things cause in me the maddening urge (conscious or unconscious) to eat inappropriately in volume and/or composition. Whether not not this stems from my childhood programming or a gene gone rouge is not the issue today.
" It will NEVER be a cakewalk for the likes of us." She is right. It will never be absurdly easy. Do I expect recovery from food addiction to be easy? Or do I just want it? I want it. I want to live my life without food as the fail-safe. I want to have a full life without always seeking a full stomach. I accept that it is never going to be absurdly easy for me to shop in food stores during the holidays. I accept that it is not an easy task to prepare foods for family that I will not be able to share. I don't like it. I don't have to like it and I can express my annoyance just as long as I keep doing the right thing, which (damn-it!) never includes pigging on on chocolate icing! I have to just accept that and keep going. 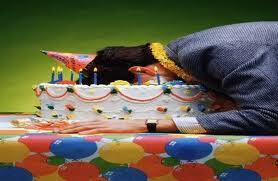 If I do not keep walking, they will find me face down in the cake. What will never be a cakewalk for you? Hi Jane! I completely 100% relate to everything you say in this post, with the tiny exception that I usually don't cook unhealthy foods for my family anymore. If that want crap for food, they have to make that themselves. However, they are always welcome to eat the healthy food I make. Well we fight the same battle Jane, nice to have you along for the walk I say :) I think each of us are at different points on our journey so it's nice learning from each other. I think what will never be a cakewalk for me is learning to deal with my anxiety without my first thought being food to try to stuff it. I have come to realize that food really doesn't help it but for like a second anyway. Yep. I am just like you and Caron. I fight and whine and then accept what my lot is food wise. I am fine until I am not. Light switch flips and I struggle. Light switch again - I am the tower of power. I started my blog in early 2009 with the premise that I wanted it to be easy...that I didn't think it should have to be a life-long struggle. While I am not sure I'd call it "absurdly easy," it, for sure, has become a lot easier. I have embraced the notion that it isn't about perfection, about never bingeing again, but about catching myself sooner and preventing the downward spiral. The process has had a lot more to do with with working on what's going on inside my head than with the actual control or restriction of food. There are people who'd rather control and restrict food...it's *easier* for them to do that than it is for them to go deep inside their psyches and work on the root causes. For me, it's easier to go deep and work on the root causes than it is to restrict and control food. I wanted to believe that if I could get at the root causes, my body and psyche would respond positively and that I could lose weight and have a healthy "normal" relationship with food. Am I perfect at it? No. 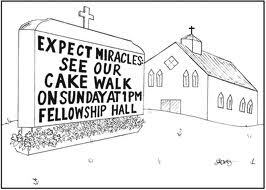 Is it a cakewalk? Sometimes. Is it a joyful work in progress? YES! For me, the easiness factor or the difficulty factor, comes in waves. What I eat remains pretty constant, how hard it is varies. And I think one has to get a long way down the road to see the patterns. I write this with a smile - What I would have said in 2007 entering my first maintenance, what I would have said in 2009 entering my second maintenance, and where I am now in 2012 are all very different. Honestly in 2004-6 I thought I was the cat's meow in a lot of ways. I thought I knew it then. so even though I have not had regain (my process started in 2004) it really isn't until THIS YEAR that I feel like I am really maturing. I too am cooking different things for different people in my family. I have two vegetarians. I have two of us who will eat chicken and fish. One of the vegetarians also does not eat eggs. I have to watch CARBS big time, no matter how healthy they are. So I cook a lot of things separately and then people mix depending on their choices. So, yes I am cooking things I do not eat, but they are not junk and they are not kid food. But like you, this eating-healthily caper will NEVER be a cakewalk for me. Even if I get it under some control, it will be an ongoing battle and something that I'll have to continue to focus on for the rest of my life. I can only hope that the inner 'fights' become easier as time goes on and I become stronger at making the 'right' choices.